Former F1 champion Michael Schumacher faces a “long fight” on the road to full recovery, his manager, Sabine Kehm, has said. One year ago, Michael Schumacher suffered severe head injuries in a skiing accident. “It’s going to be a long time,” Sabine Kehm was quoted as saying. Her comments came after a former racing driver said Michael Schumacher was beginning to communicate with his eyes. The claim, made by Phillipe Streiff, was dismissed by Sabine Kehm and Michael Schumacher’s doctor. 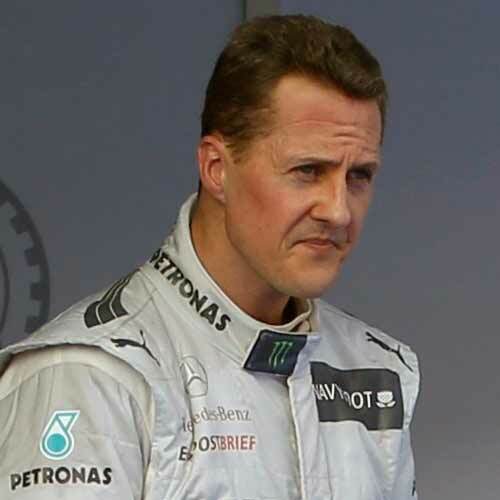 Speaking to Le Parisien newspaper, Phillipe Streiff said he understood that Michael Schumacher was now recognizing his close family and communicating with them using his eyes. The retired French F1 driver said he had obtained his information after being in contact with Michael Schumacher’s wife and the surgeon who is treating him. However, Prof. Gerard Saillant, the surgeon, denied giving any information to Phillipe Streiff. “For a year, I have never had any contact, verbal, written or physical with Phillipe Streiff,” Prof. Gerard Saillant said via a spokesman, according to the AFP news agency. Meanwhile Sabine Kehm said Phillipe Streiff was not a close friend of Michael Schumacher and had not been in contact with either her or Gerard Saillant. Michael Schumacher, a seven-time F1 champion, suffered his head injury while skiing near the French resort of Meribel on December 29, 2013. After spending nine months being treated in French and Swiss hospitals Michael Schumacher was transferred in September 2014 to his family home on the shores of Lake Geneva.